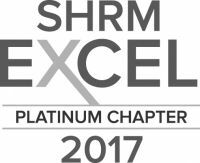 Our chapter has been awarded several SHRM EXCEL Awards. Since 2011, we’ve been recognized with four Platinum, two Gold and one Silver EXCEL Awards. This award recognizes outstanding achievements in Chapter operations and a commitment to providing meaningful programs and services to our members. By achieving this award, our Chapter distinguishes itself as an outstanding organization dedicated to serving the needs of our members and to the advancement of the human resource management profession. Prior to 2011, this award was referred to as the Merit Award or Superior Merit Award. We have a rich history of being recognized as a high achieving chapter. Since 1976, RMSHRM has been awarded 3 Merit Awards and 24 Superior Merit Awards. As a result of our Chapter fundraising efforts in 2018, RMSHRM has been designated as a 2018 top 25 Fundraising Chapter for the SHRM Foundation. The support provided by the SHRM Chapters and state councils allows the SHRM Foundation to provide opportunities to fellow HR professionals that they may not have had otherwise. Thank you for your continued support of this important foundation! This annual recognition program honors the highest achievements in chapter development and contributions that Advance the Profession and Serve the Professional. Chapters enter the competition by submitting an innovative project created and implemented by the chapter during the award period (January – December), and special consideration is given to successful programs that are readily transferable to other chapters. 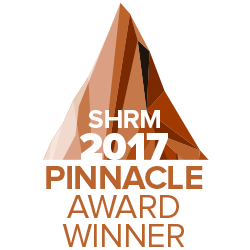 The award is open to any North Carolina SHRM-affiliated chapter. RMSHRM is proud to have been awarded five Chapter Crown Awards!